Broccoli Salad. | Eat More Plants. When I was little, my Nana used to always make a warm broccoli salad for us when we were hanging around in the house waiting for dinner or for a light lunch. It was only a few ingredients but together they were so memorable. I made a few changes to this and it’s one of my favorite salads any time of year. Chop the broccoli into bite size florets. Blanch in boiling water for 1 minute. Drain and set aside in a large bowl. 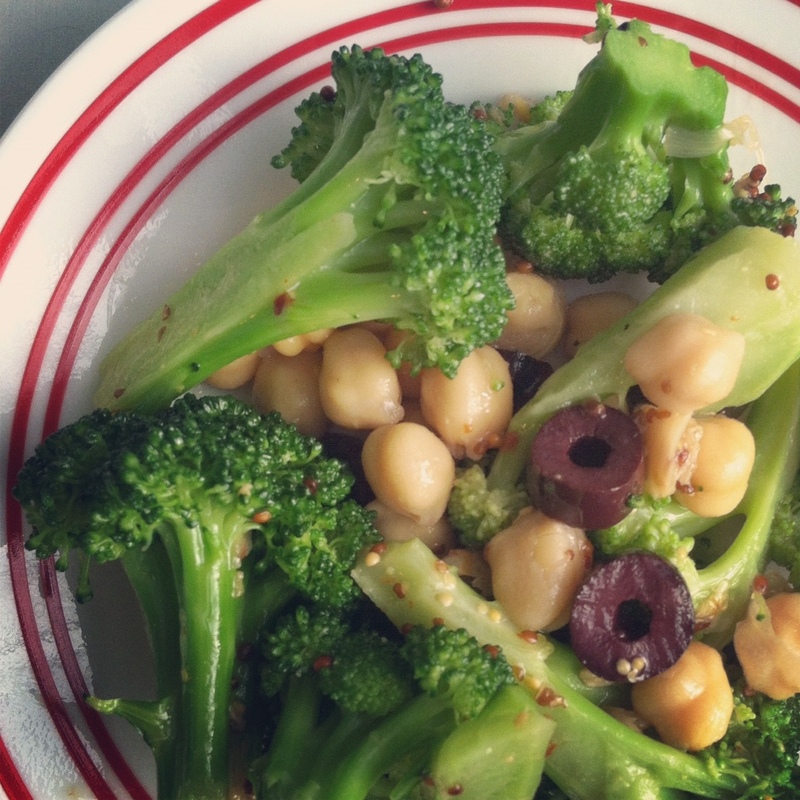 Put the olives and chickpeas into the bowl with the broccoli. Pour the warm vinaigrette over the veggies and mix well to coat everything. Taste and add more salt if necessary. this looks so easy and just lovely!